Typically, the single, biggest delay in this final stage is scheduling an appraiser. This alone may consume two weeks of the three-week window. Not to worry, part of this time will be used to schedule a home inspection and have an opportunity to do your due diligence on the property. Finally, there’s usually another final week of paperwork to finalize and produce for the titling company. That’s why, generally speaking, it takes at least a month from the time your offer is accepted until you can close on the deal. Here are some of things you should keep in mind to get the best outcome for your final mortgage approval. This is, arguably, the only downside to starting the preapproval process as early as possible. Once it’s completed, you’ll only have a certain amount of time—typically 60-90 days—that the preapproval is good for. Now, this doesn’t have to be a huge issue in that you can typically get renewal for a preapproval loan by submitting a few updated documents. So long as you didn’t get a loan preapproval prematurely, you may come up against this expiration date because you couldn’t find the right property in the right location at the right price and without losing the property to another buyer. This type of problem has become more common in recent years due to low inventory in a variety of real estate markets. Knowing that you can work with your home lender to quickly and reliably renew the loan preapproval can help overcome this frustration and finally find the perfect spot. Know, too, that preapproval is not final mortgage approval, and things can still go sideways, pretty much right up to the day of closing. Often, these are little hiccups that simply need follow-up documentation, but it can still be somewhere between mildly inconvenient to majorly stressful—or even costly financially speaking, if it delays the closing date. What sort of hiccups are we talking about? A change in income, or even just the source of your income, can look like a red flag to home lenders and their underwriters who are charged with verifying the borrower’s assets and sources of income. Borrowing a large sum of money to make the down payment without informing the lender of this newly acquired debt is one common mortgage fraud strategy. At the same time, it’s also common for a job promotion to be part of the calculation for someone who’s looking to buy a home. When the first new paycheck hits the same account that you’re using to make the down payment, this can raise a false red flag that may require that you verify this source of income by signing another document. This is the over-arching reason why it’s so important to have reliable means of communication with the mortgage lender/broker. These types of hiccups can be more readily anticipated and more readily addressed when everybody starts on the same page and stays that way throughout the process. 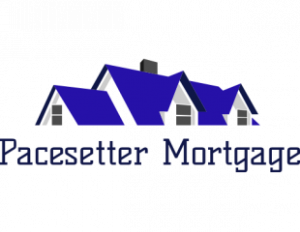 It’s easier said than done, but as long as you don’t have multiple points of failure, you should be able to get from preapproval to final mortgage approval and closing without lengthy delays.